Jenny and I have been at the shop after hours working away! Some desk moving conversation led to new paint and new artwork for the walls. We're not done yet... Don't tell Doug! Plus a motoring club hosted by Matt! And a tip for sticky interior. Submit a picture of your car for our wall! 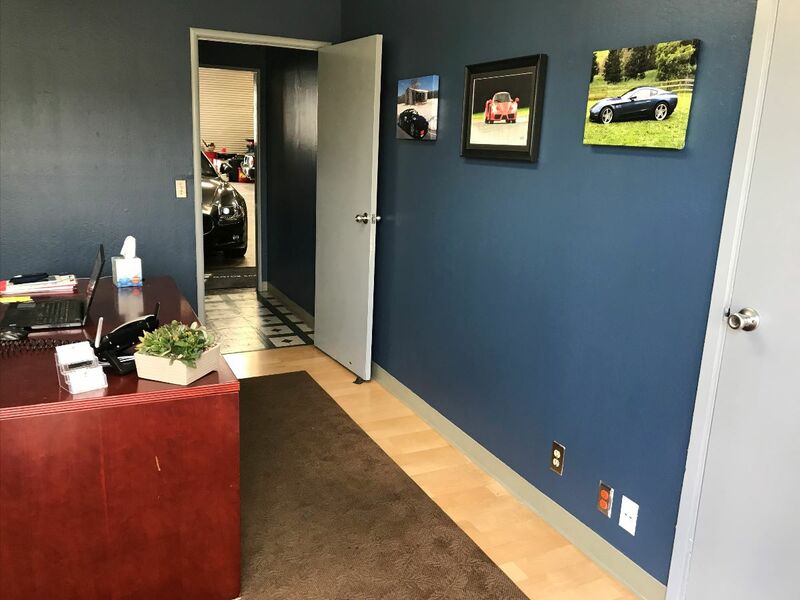 We want to feature our clients' beautiful cars on our wall. So far we have a couple from Jason and Andy. Our goal is to have 10 by 2020. Email us your favorite pic. If we choose to feature your car, we'll make an extra 12"X16" canvas for you! jwestlake@sfmotorsports.com email for picture instructions. Right now we have an awesome Testarossa in for the full service. Needless to say, Brian is in heaven! Check out our Google posts to see some Spring specials we have going. Welcome to The 415 Club - The ultimate high-end exotic and sports car network. A SF Bay Area focused private club for auto collectors, drivers, and enthusiasts. 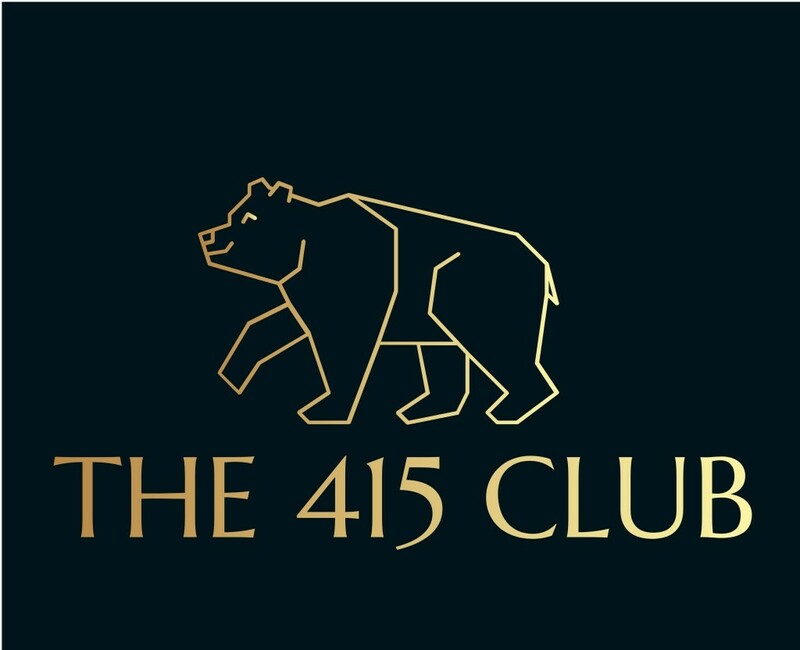 The 415 Club offers an unparalleled social and driving opportunities, premier access to exceptional exotic cars for sale before the public market, and a network of service providers in the Bay Area to take care of all your vehicle's needs. Become a member today for a truly first-class automotive and lifestyle experience. Does your Ferrari or Maserati suffer from the unavoidable sticky interior? We understand that the permanent repair is expensive and your car may not be at that unmanageable stage. 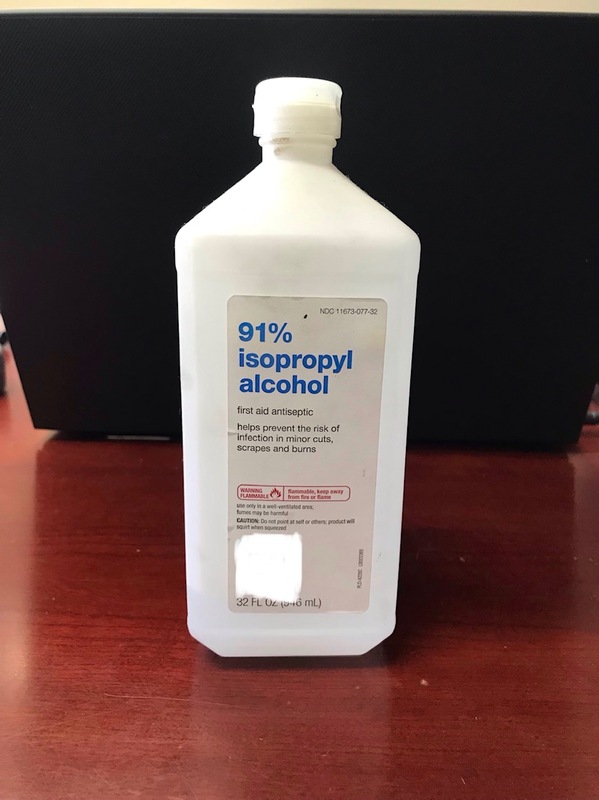 A nice trick that can buy some time is wiping all of the affected surfaces with alcohol wipes. It takes many wipes or cotton balls, and some time - don't press too hard or you'll wipe off the graphics. Happy motoring! 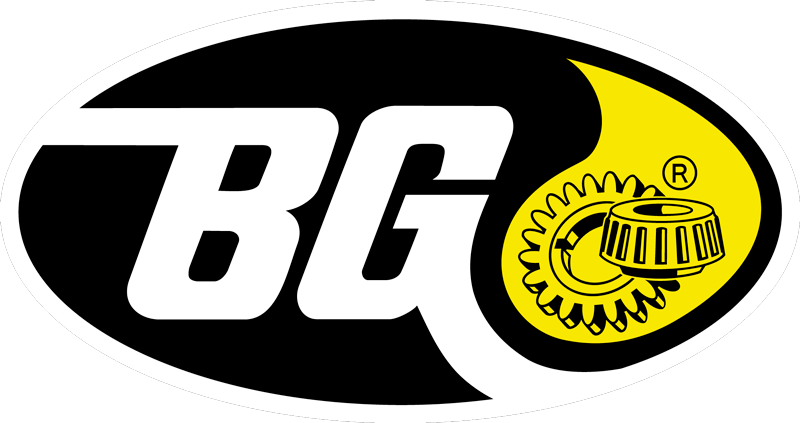 BG Products, Inc., is committed to maintaining vehicles through high quality automotive maintenance services for fuel systems, engines, transmissions, brakes, power steering, cooling, battery, drive line and climate control systems. We provide the highest quality products and equipment to dealerships, independent shops and franchises so they can perform BG Automotive Maintenance Services on consumer vehicles. Manufactured in El Dorado, Kansas, and distributed all over the world, BG’s professional-use products and equipment add more efficiency, miles per gallon and long-term reliability to vehicles. We focus exclusively on products of the highest quality only available through BG. 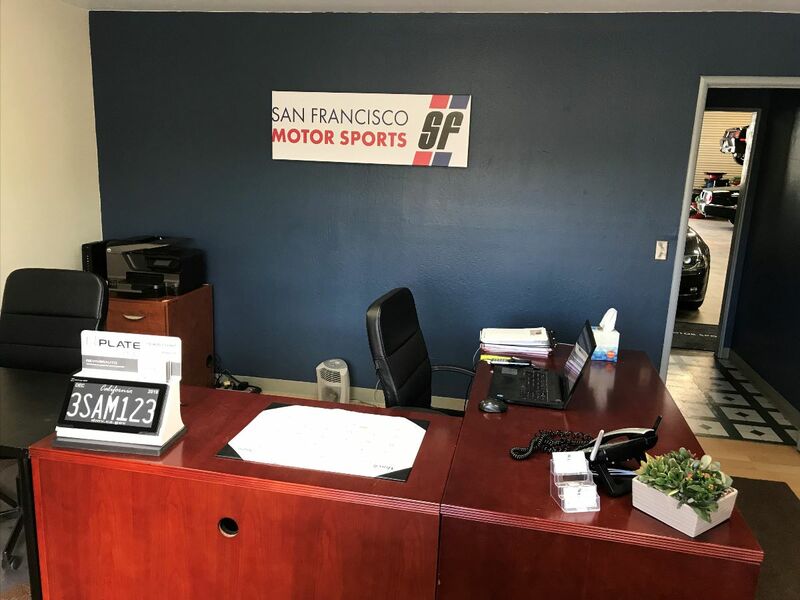 The 415 Club is proud to be a business partner with San Francisco Motorsports. The 415 Club feels that it is extremely important to take proper care of your exotic or high performance vehicle, and the guys at San Francisco Motorsports will ensure that happens. However, the reason for keeping you car in top shape is to be able to drive it every time you want to. 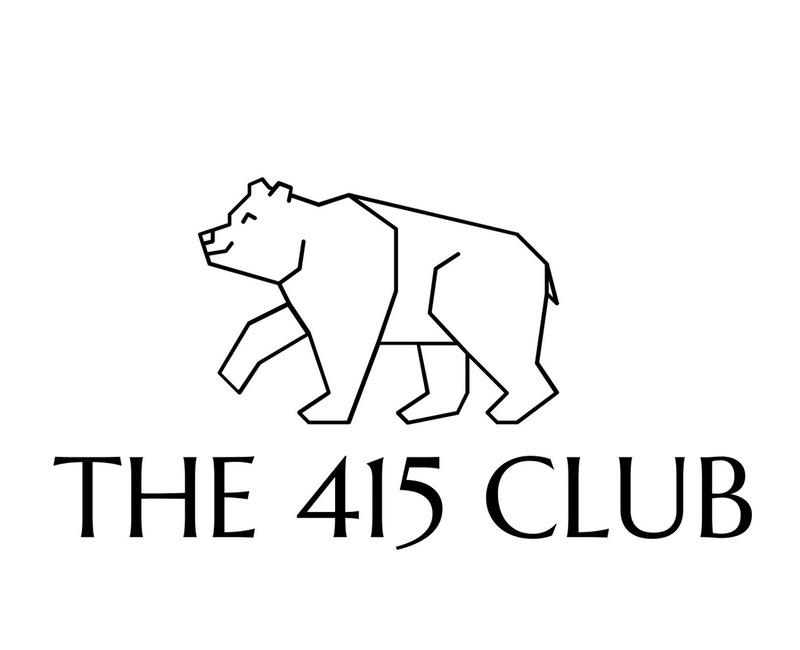 The 415 Club provides the Bay Area’s premier motoring club experience, and connects exotic cars, the drivers, and good food together. Join The 415 Club today to start exercising all that horsepower. 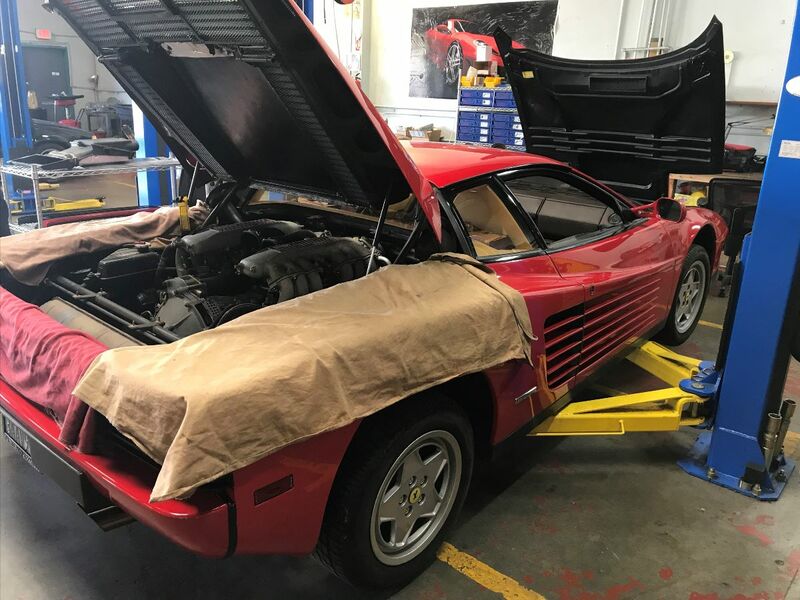 In the world of Ferrari maintenance, there arefierce debates about virtually everything, whether you’retalking about miles versus age when it comes to timingbelt changes or driving versus storing when it comes to collector cars. Of all the contentious topics, however, there’s onethat always stands out in my mind: that mysterious green fluid flowing through every Prancing Horse’s veins called coolant. Without getting into the nitty-gritty, I’ll just say it sometimes seems like there’s more thoughtful debate around climate change than there is about cooling-system decay. There’s little need here to get into the subject of electrolysis and corrosion. For our purposes, let’s just says it’s something that happens and is impossible to prevent entirely, but the best way to slow it down is to service the cooling system every three years. This means flushing out all the old coolant and replacing with new. If you want to add a cooling-system conditioner such as Water Wetter, so much the better (though opinions vary widely there, as well). To my knowledge, there’s not a single Ferrari that will not suffer some specific harm if its coolant isn’t flushed. The gearbox-to-cooling-system heat exchangers on F355s, 360s, and F430s, for example, are subject to settling debris and internal corrosion. The large metal radiators that keep frontmounted V12s cool can corrode inside and leak at the welds. If one of those weak welds makes contact with a speed bump, what was once just a green hue can easily become an active drip. During a cooling-system service, it’s important to drain as much coolant as possible.That means all radiators must be drained (the mid-engine V8s havetwo, located up front), and here at San Francisco Motorsports we always pull theengine block drain and at least one of the major coolant hoses attached to theengine. No matter how and where you drain, however, refilling is the most important part of the job. Because of this, I think using a vacuum filling system is a necessity. (Sorry, DIYers: This may be the one specialist tool you absolutely have to buy. Otherwise, bite the bullet have a shop so equipped do the job.) The main reason vacuum filling is so important is that there are many internal passages and high spots that can trap air so that it will never bleed out on own. Furthermore, the airbleed screws on F355s, Testarossas, and earlier cars cannot be trusted; they are often nearly welded closed [WHY? ], and the soft pipes they are braised or pressed into can easily be damaged. What happens if you have air trapped in the cooling system? Consider the 360. The Modena’s cooling fans do not run based on a sensor on the engine block, but based on a fan switch on the right front radiator. Air can easily be trapped in that exact spot, causing the fans to never run or to run too late— your only clue something’s wrong will come when you spot the engine-temperature gauge climbing into the red. Coolant is only part of the coolingsystem story, however. On 1990s and earlier models, such as the 328, F355, 550, and Testarossa, electrical issues often cause problems. On high-amperage circuits such as blower motors, radiator fans, and fuel pump(s), I commonly find fuse-board failures, so when in doubt, test the fuses. The second most common reason cooling fans don’t work is poor wiring contact at the fan switch or a failed switch. One problem that’s starting to crop up regularly is imbalanced cooling fan blades on F430s. This can be severe enough to vibrate the steering wheel when the car is idle. I’ve disassembled them to look for chips, pits, or even tire clag, and found nothing, and so far attempts to rebalance the blades have failed. The only cure appears to be replacing both fans. I’ve been a FORZA subscriber for many years and always look forward to the “Shoptalk” column—until now, though, I’ve only read it for pleasure! I have a 550 Maranello I bought five years ago. It’s been completely trouble-free but now I have a problem I’m not sure how to solve. When I was playing with my 3-year-old son in the back yard, he somehow scooped the key and fob out of my pocket and tossed them into our pool. I fished them out quickly but it was too late for the fob, which hasn’t worked since. I’ve now been told I can’t simply replace it without “the red fob” or the alarm code, both of which apparently came with the car when new, neither of which I ever saw. I only had the one key and fob. My questions are as follows: 1) Is the red fob real, and if so do I need it? 2) Where do I get one and/or the code? 3) If I have the code, can I start the car without a replacement fob? Great questions! The alarm systems found on the F355, 360, 456, 550, and 575M are generally reliable, easy to diagnose, and get the job done. The main downside of Ferrari’s alarms from this era is their focus on internal security, which makes servicing and programming remotes a long process and limits repair options. The red remote is real—very real. (That said, on new replacement remotes, this red “master” remote is now black.) It is the gatekeeper for the trio of remotes, and is paired to the two black remotes, and no others, via a secret code. When a new 550 Maranello was delivered, the client received a few very important items: two ignition keys, two black remotes, a secret code slip, and a red remote. It was suggested in the shop manual that the client put the code, one key, the red remote, and one black remote in a safe place. This is a great idea, at least until one of two not-sogood things happens: Either the car gets sold and these items are forgotten, or the batteries corrode in the red remote. The red remote is required when your technician wants to program another set of remotes to the car for diagnostic purposes, with the intent of later programming the original remotes back to the car. Without the red remote, the black remotes will become permanently orphaned once a new set is introduced. Furthermore, the remote programming process, whether manual or assisted by the factory-approved SD2 diagnostic computer, requires the red remote to be activated as one of the first steps. No red remote? No remote programming. A black remote that took a swim is not the end of the world if you have the other remotes on standby in the aforementioned safe place. However, Ferrari doesn’t sell individual replacements, only a full remote kit, which consists of three new remotes (one master and two slaves) and a new secret code. Even if all the remotes are missing, all hope is not lost, as the car can still be started with the secret code. The method is outlined in the owner’s manual, and involves entering the code by turning the key in the ignition, waiting, and turning it some more, all while monitoring the dashboard. While it’s a bit cumbersome, this process will disable the alarm and allow the car to be driven until a new remote kit can be purchased and programmed. Since you say you don’t have the code, things get a little dicey. Ferrari keeps on file all codes that have ever been supplied for your car’s VIN. If all the remotes used on the car since new have come through the dealer network, you can get the code from Ferrari by supplying proof of ownership and paying a fee. But if a past owner bought a used factory remote or turned to the aftermarket, Ferrari will have no record and won’t be able to supply a code. If this happens, you’re stuck staring down the rabbit hole of buying a complete alarm system—and as you can imagine, factory replacements aren’t cheap!—or trying to hack the original. There are vendors out there who claim they can “jailbreak” the factory alarm and supply cloned remotes, but I have seen both success and costly failure down that path. You can’t simply remove the factory equipment because the car won’t start without it, and while there’s a kit available that bypasses the system and allows the car to start, then you won’t have a functioning alarm. Whenever possible, I prefer to stay with the factory setup. Any time you buy a new factory remote kit, the remotes need to be programmed. This is easy with an SD2, but there’s also a passive way to do it [IS THIS ALSO OUTLINED IN THE OWNER’S MANUAL?]. Using a series of key cycles, choreographed on/offs to put the remotes in programming mode, and button pushing, you’ll have three brand-new remotes programmed to your car and its new code. For anyone who buys a new remote kit and still has the original code and red remote, be sure to keep them. This way you’ll be able to program “away” from the new set, and back to the original, if diagnosis is ever needed. Finally, just like Ferrari recommended in the first place, take the secret code, the master remote, and one slave remote, and put them in a safe place—and don’t forget about them! The factory recommends replacing the remotes’ batteries every six months, which seems excessive to me. Instead, I recommend bringing all three remotes to your shop during your car’s annual service for battery replacement.